With our current ability to communicate quickly and openly online, there’s no longer any excuses to remain ignorant on all of these Ammonia-D side-effects. “Ammonia-D” is actually Proctor & Gamble’s version of this public poison, which they put in Windex. What’s the “D” in “Ammonia-D” stand for? Danger? Death? Dishonesty? Who knows? One thing is certain: the general public is still largely in the dark about Ammonia-D. Imagine you’re an uncaring, greedy, big chemical company and one of your best-sellers suddenly stopped being ordered by all your big commercial buyers because of OSHA & EPA regulations. You would try to downplay the danger, maybe rename the poison, and recoup some of those losses by selling to an already-busy, over-worked, unsuspecting public. Long-term exposure tests are still being conducted, but there’s a lot of studies on ammonia already published. I’ve gone ahead and sifted through pages and pages of reports for you. In no particular order, here’s a quick rundown of 7 major side-effects of Ammonia-D. Contact can severely burn your eyes, including potential eye damage. Inhaling Ammonia-D can irritate the nose and throat. 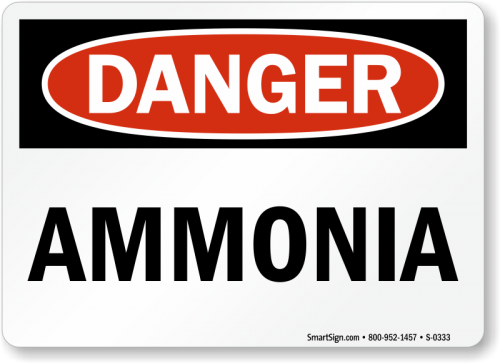 Inhaling Ammonia-D can irritate the lungs. Repeated exposure can also cause an asthma-like allergy and permanent airway damage. Does this sound like a substance you would want near your pets, friends and family? Of course not! We wouldn’t wish these Ammonia-D side-effects onto our worst enemies. And we’re bringing this poison into our homes, spraying it and allowing it to work its way through our air vents, while our children are sleeping. There’s no longer any reason to keep our head in the sand. Take a stand with me, please, and avoid using these horrible products—at all costs. Myrna, Green Clean Life Champion!